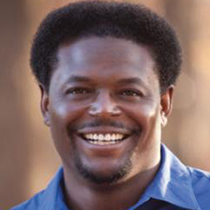 Pastor Derwin Gray compares leadership to being the captain of a ship. Leadership is like being the captain of a ship. And as the captain, you intrinsically know that your ship and the men you lead aren’t designed to stay in a safe harbor. The ship is built for the danger and adventure of the sea. With enthusiasm and a fresh vision of this new land tattooed in your heart, you and your men head out to sea. And out at sea, a huge fog engulfs your ship, and you cannot see. Uncertainty fills your heart. Fear knocks on the door of your soul. Doubt swirls around your mind like a tornado. What do you do? Leadership is a lot like this parable. So often, God (the Admiral) will tattoo a vision into our hearts and we set sail, only to find ourselves engulfed in fog. How do we respond when all we can see is fog? We must courageously trust the Admiral (God) and we must “see” the destination, even though we’ve never been there.